Well I wasn’t totally happy and still am not with my final results of my first delve into Substance. In this latest shot I massaged the normals, reducing some of the sculpting detail and letting material settings take some of the burden. 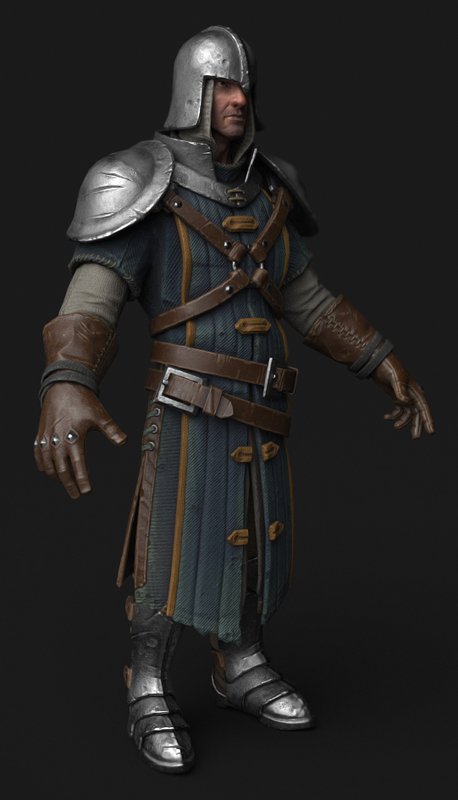 Also simplified the metal, added in color variations to the cloth and changed it’s roughness/normals.